When everybody’s favorite mumbler, Kimi Raikkonen, wrecked out on the first lap of the Spanish Grand Prix Sunday, a young Ferrari fan in the crowd showed more emotion than Raikkonen probably has, total, in his lifetime. The kid looked like someone stole his new puppy. 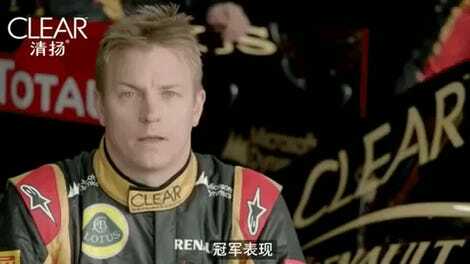 But Raikkonen turned that all around. 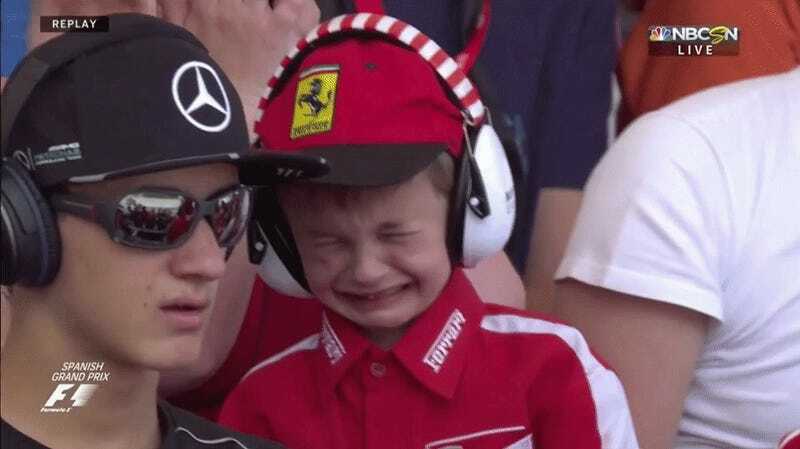 It isn’t clear who led this little fan to the Scuderia Ferrari camp later on during the race, but the NBC Sports broadcast showed footage of him on lap 51 after a replay of Raikkonen’s wreck. The kid’s face just lit up when he got a new Ferrari hat straight from the driver whose wreck had him in tears, and Raikkonen even managed a semi-smile for some photos with him. The race broadcast didn’t give any indication as to what the conversation was like between the two, but it was surely quite lively—in true Kimi fashion. And perhaps the best part of it all is the woman who appears to be responsible for bringing this kid to the race, since she seems to be holding back tears when Raikkonen puts the new hat on him. Just look at that genuine happiness! While Raikkonen’s teammate, Sebastian Vettel, was out fighting a losing battle for the race win against Lewis Hamilton, this kid was getting an experience worth much more than the price of a ticket to watch all of that go down. Retirement from a race isn’t the end of the world—and if anyone knows that in-racretirement shouldn’t be a cause for tears, it’s Raikkonen—and this young fan learned that lesson in a way he’ll probably never forget. This is the secret to life. Stay young forever, and always let people know when you’re sad.